WordPress 4.9.8, a maintenance update, was released on August 2nd. The update contains 46 bug fixes from the previous version. Certain WordPress users will see the “try Gutenberg” button in their dashboard as this update is thought to be one of the final releases before the big Gutenberg update. WordPress users can find out the criteria for the “try Gutenberg” button being visible via WP Tavern. The update contains 18 privacy fixes that are “focused on ensuring consistency and flexibility in the new personal data tools that were added in 4.9.6” say WordPress. There is now improved consistency in multisite with the site name being used for privacy emails as well as increased test coverage for a variety of core privacy funtions. 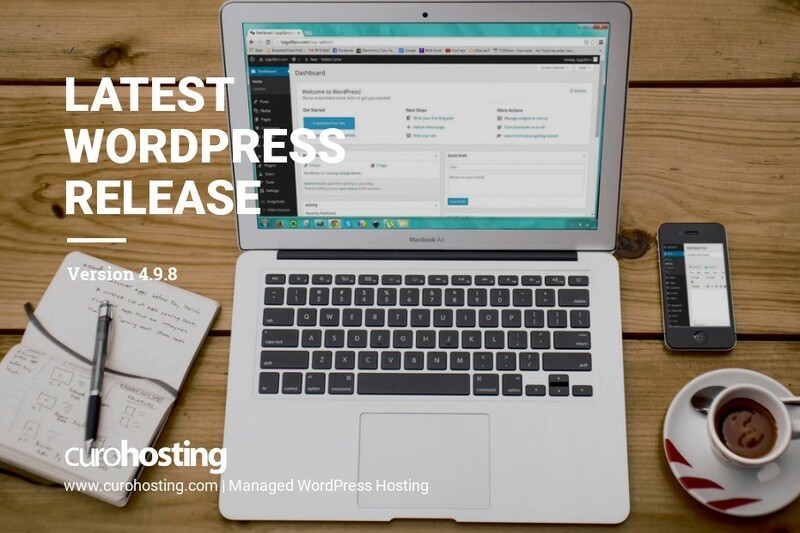 You view WordPress’ announcement of 4.9.8 here. No action is required from CuroHosting clients as we do automatic updates for all WordPress updates. If you have any questions about automatic updates please contact our WordPress experts. If you would like to trial our service, which includes automatic updates of WordPress core, themes and plugins, you can try us free for 14 days.